Learn how to do it right with techniques and recommendations from PV experts, as well as basic installation considerations and best practices. Industry-expert tips and techniques will help you minimize risk and deliver a top-notch install, worthy of being inspected by the very best. Reduce installation time and labor and avoid unnecessary call-backs and red-tags from your AHJ. A fun-filled presentation on residential, commercial, and utility-scale PV systems that will make you groan, gasp, and, at the same time, have some “a-ha” moments. Ideal for PV installers and inspectors, especially for those interested in quality control and risk reduction. Bio: Karo Fernández is a mechanical engineer from the University of Costa Rica and has worked in the photovoltaic industry since 2009. 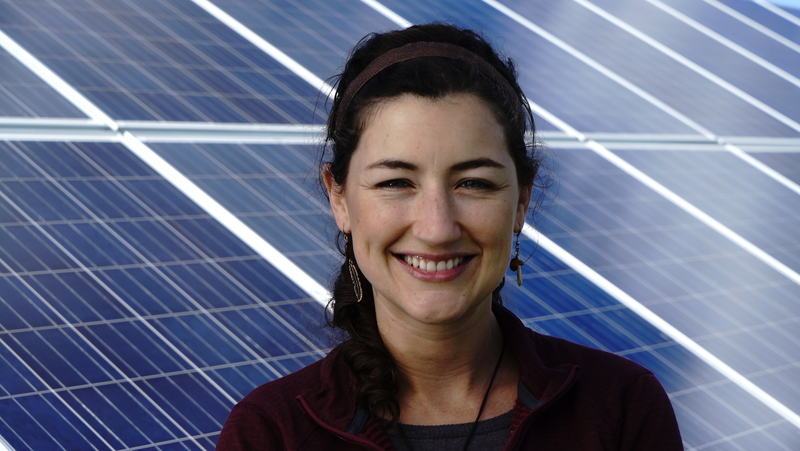 She started in installation of PV systems, then evolved to development and direction of solar projects in her country. Now Karo runs her consulting company focused on quality control and optimization of photovoltaic systems in Latin America. In recent years she has been responsible for the revision of electrical PV designs, inspection and / or commissioning of more than 18 MW in more than 100 different projects throughout 6 countries. Karo also serves as a technical consultant for Solar Energy International (SEI), developing the teaching material and providing technical training in design, installation, operation and maintenance of photovoltaic systems. This four-hour intense workshop session is specifically tailored to needs of manufacturers, distributors, installers, integrators and project developers and touches base on the crucial points currently impacting the Mexican energy storage landscape. Highly respected industry experts will provide a holistic overview of the current market status, forecast future scenarios and strategies on how to monetize developing solar and storage opportunities. In addition to first-hand knowledge from the field incl. lessons learned from matured markets, delegates will gain a deep understanding of the different technologies and successfully proven business strategies in the different storage market segments. Economics of energy storage systems – Where are the returns? Marco V. Calderón Agoitia – Senior Partner, Cosmo Consulting S.C.
Gain insight on the most updated rules-of-the-game for designing the point of interconnection (POI) for a grid-tied PV system according to NEC 2017 (and learn about what may be updated for the next revision of NOM-001-SEDE-2018!). NEC 2017 POI requirements include sections that can greatly benefit your PV designs. In this class we present them through diagrams, examples and calculations in real sizing situations. Learn how to size distribution panels based on PV watts being installed or understand the limitations in sizing a PV systems according to existing panels; learn how to size panels connected in series and panels for parallel connection of many inverters in large solar farms. Aimed at energy storage professionals along the entire value chain, this forward-thinking session will equip your company with innovative concepts needed to succeed in the storage marketplace of tomorrow. Focusing on the technology’s different value streams, experts will also discuss associated opportunities and how these streams can be monetized in the short-term. Today’s most innovative approaches and business strategies will be discussed, including insights of leading manufacturers, distributors and installers in a panel discussion. Moreover, this session will cover advancements made in energy storage system technology including component research to enhance system performance and ROI will be addressed. Learn directly from the industry leaders where it’s worth to invest right now, how you improving project economics through optimized system design, and learn about best practices on the integration of storage into the asset management and O&M plan. Become part of this deep-dive session and have your say on what is needed to achieve solid storage market structures in Mexico and learn from international best practices. -Innovative concepts needed to succeed in the storage marketplace -Advancements made in energy storage system technology -The international view: Best practices & lessons learned -Integration of storage into the asset management and O&M plan. With more than 450 MW of PV installed in Mexico alone, understanding Operations and Maintenance (O&M) has never been more relevant. This class dives into the O&M world, highlighting safe and practical use of tools and equipment designed for operation, maintenance, and troubleshooting of PV systems. We will cover PV system commissioning, performance evaluation, insulation resistance testing, thermal imaging and I-V curve tracing. Contents include from the 5 most common reasons resulting in wacky I-V curves, to the latest and greatest field testing technology of electroluminescence. Join us for 3 hours packed with technical knowledge every field technician and engineer should know.